View cart “Gold Premium – Package 2” has been added to your cart. 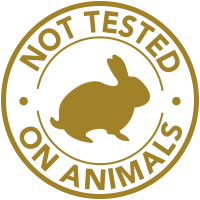 The 24K Cleopatra Nano Regimen is a three-part system created to provide unparalleled care for the skin. This collection results in a dewy, glowing look. 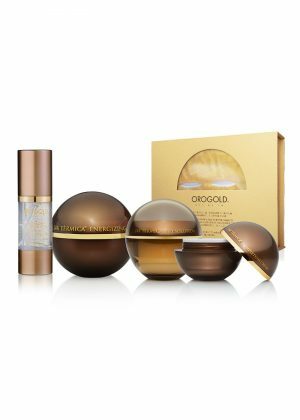 24K Cleopatra Nano Silk Cream – 50 g. / 1.69 oz. 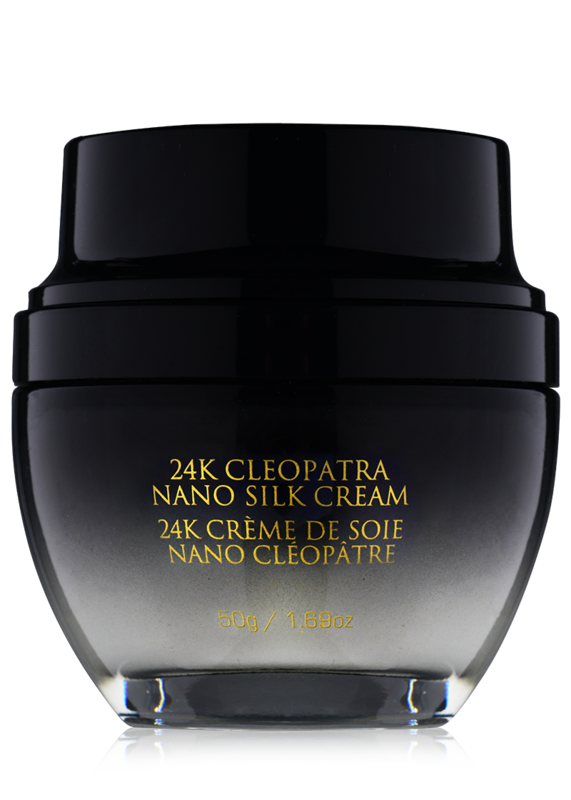 The 24K Cleopatra Nano Silk Cream is a satin-like moisturizer designed to instantly smooth away wrinkles and dry skin. Expertly formulated with Palmitoyl Tetrapeptide-7, vitamin E and Sodium Hyaluronate, this luxurious solution diminishes unwanted signs of aging while protecting skin from moisture loss. 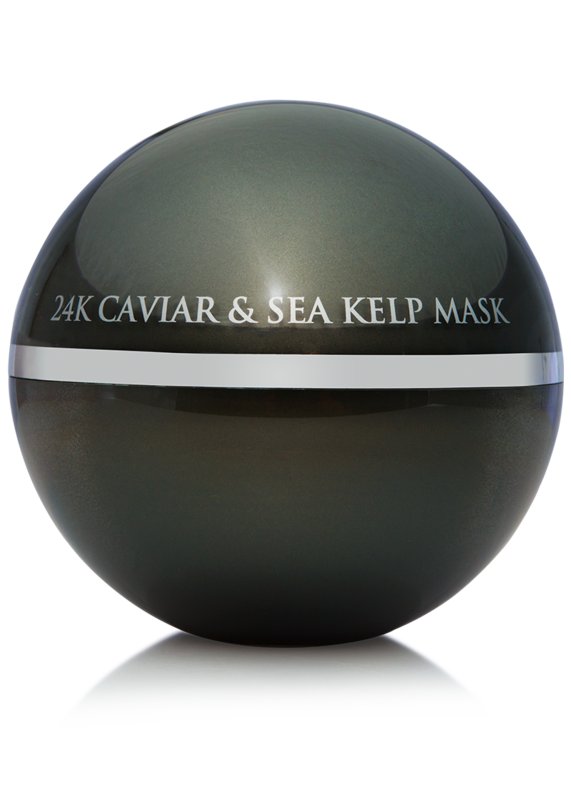 Experience a radiant, plump look with reduced visibility of fine lines. 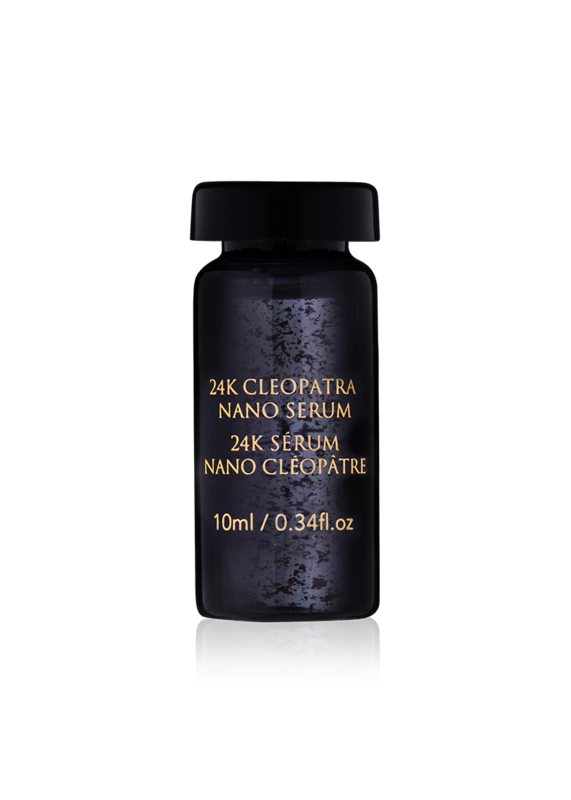 The 24K Cleopatra Nano Serum is a silky elixir that reduces the look of wrinkles and fine lines. 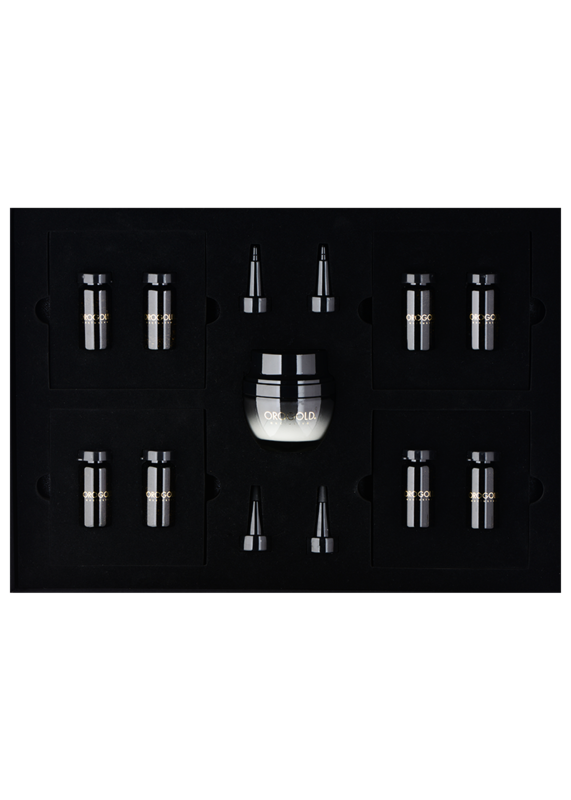 Its unique formula includes Acetyl Hexapeptide-8 and aloe vera to soften and smooth skin for a more luminous, vibrant complexion. 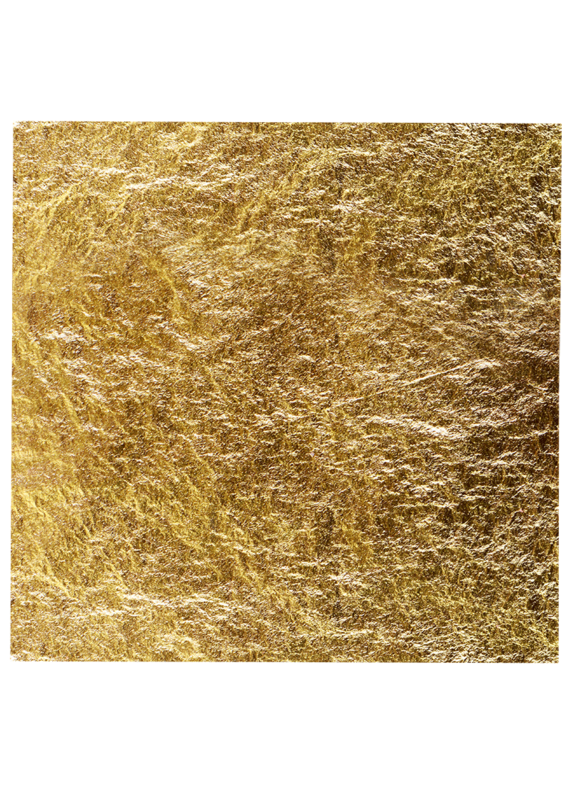 The 24K Cleopatra Gold Sheets are designed to enrich skin with the exquisite luxury and benefits of gold. Soothe and calm skin while reducing the appearance of fine lines with this four-sheet wonder, and enjoy a renewed radiance. 1. Cleanse your skin using your favorite cleanser. Thoroughly dry your face to prepare it for the 24K Cleopatra Nano Regimen. 2. 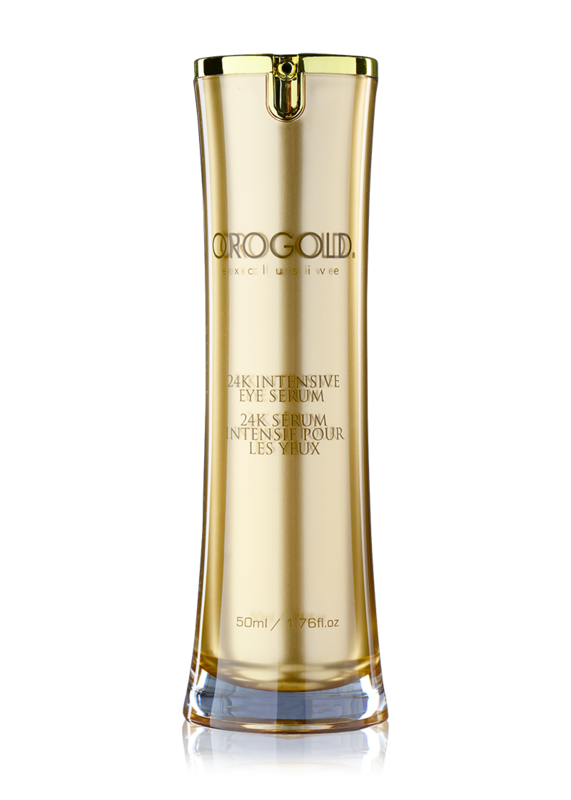 Apply the 24K Cleopatra Nano Silk Cream on your face and massage gently until it completely disappears. 3. Apply the 24K Cleopatra Gold Sheets. a. Each envelope contains three different sheets that are covered with a protective sheet. These gold sheets need to be applied directly from the protective covering onto your skin. Make sure that you don’t touch the gold sheet while applying as it is very delicate. b. Place all three sheets on your face, one on your forehead, one on the left side and one on the right. You may also apply some to your neck area. 4. Leave the sheets on your face for about 20 minutes. 5. Apply the 24K Cleopatra Nano Serum on top of the sheets and massage using soft and gentle motions. Massage your entire face and neck area until the gold disappears completely. a. Before using this serum, you need to remove the lid and replace it with the plastic dropper that has been enclosed with the product. In order to use the product, simply remove the plastic cap and squeeze the dropper. 6. 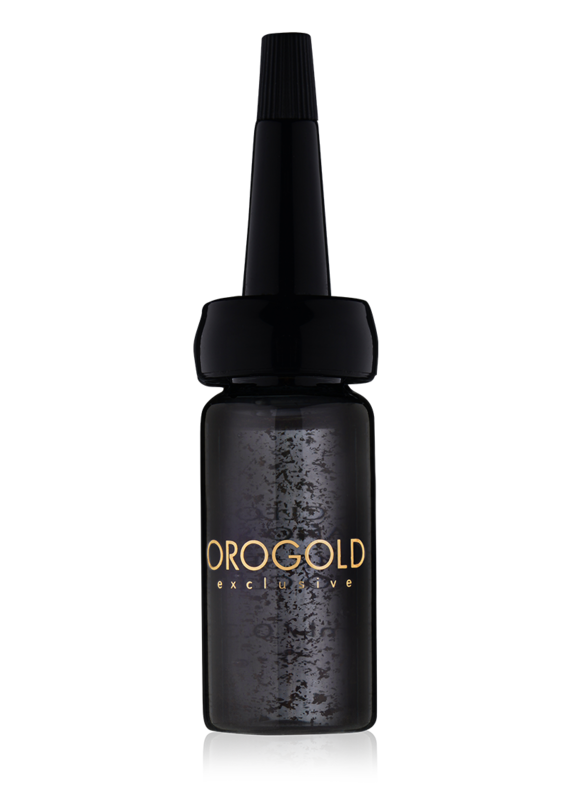 Use OROGOLD compressed pads and wipe off any leftover product residue from your face. 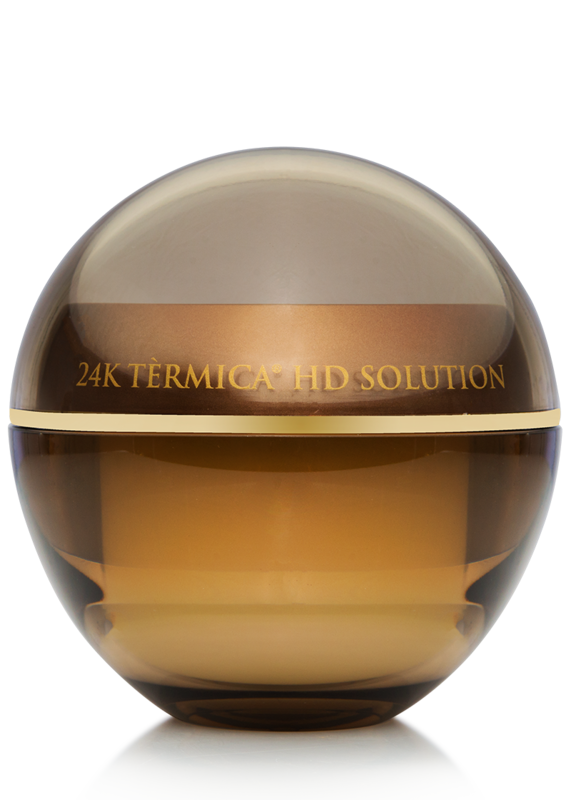 The 24K Cleopatra Nano Regimen by applying the 24K Cleopatra Nano Silk Cream. 7. 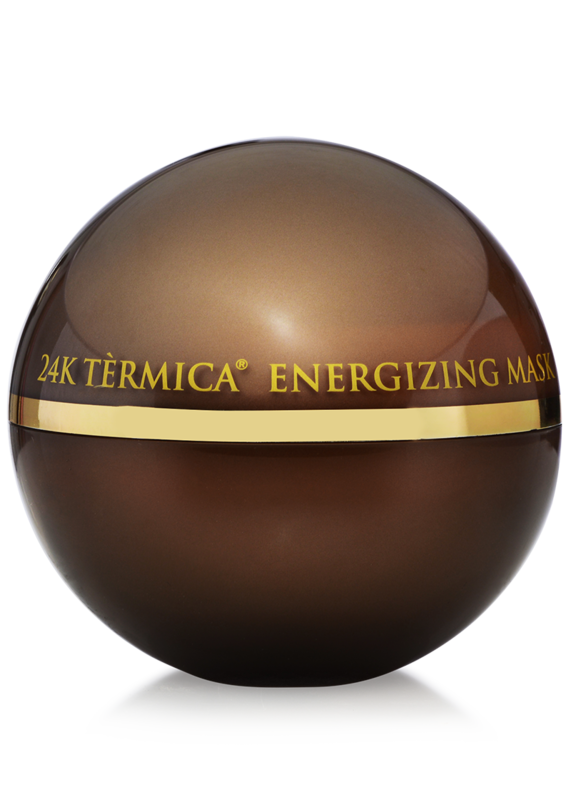 Complete the 24K Cleopatra Nano Regimen by applying the 24K Cleopatra Nano Silk Cream. 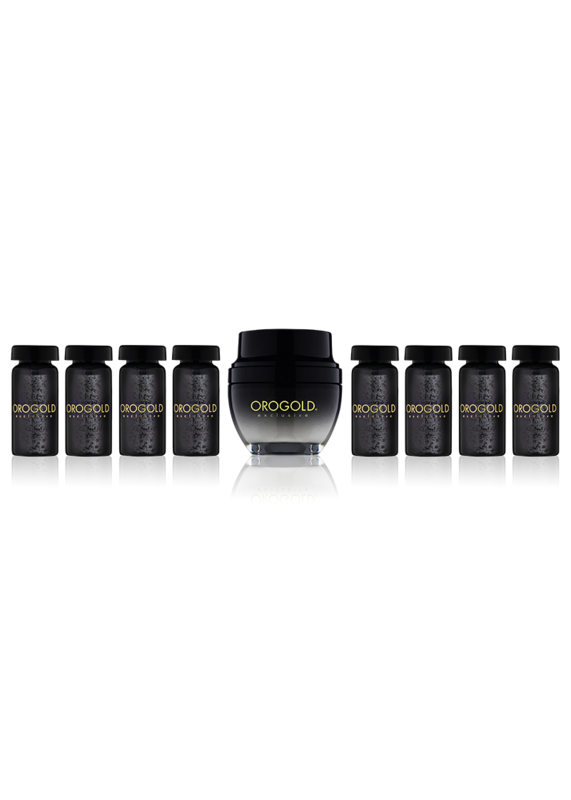 OROGOLD recommends enjoying your first treatment of the 24K Cleopatra Nano Regimen at an OROGOLD store, where our experts can show you how to best use this regimen alongside your regular skin care routine. The 24K Cleopatra Nano Regimen is recommended to be used monthly. Use along with the 24K Nano Collection for best results. 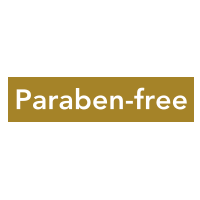 Aqua, Glycerin, Propylene Glycol, Fagus Sylvatica Bud Extract, Polysorbate-20, Persea Gratissima Fruit Extract, Symphytum Officinale Leaf Extract, Centella Asiatica Extract, Aloe Barbadensis Leaf Extract, Acetyl Hexapeptide-8, Gold, Phenoxyethanol, Ethylhexylglycerin, Acrylates/C10-30 Alkyl Acrylate Crosspolymer, Triethanolamine, Fragrance, Disodium EDTA. Aqua, Caprylic/ Capric Triglyceride, Cetyl Alcohol, PEG-8 Beewax, Jojoba Ester, Acacia Decurrens Flower Wax, Helianthus Annuus Seed Wax, Polyglyceryl-3 Esters, Butyrospermum Parkii, C12-15 Alkyl Benzoate, Glycerin, Butylene Glycol, Squalane, Polysorbate-20, Glyceryl Stearate, PEG-100 Stearate, Ammonium Acryloyldimethyltaurate/Vp Copolymer, Palmitoyl Tripeptide-1, Palmitoyl Tetrapeptide-7, Sodium Hyaluronate, Olea Europaea Fruit Extract, Aloe Barbadensis Leaf Extract, Lavandula Angustifolia Flower Leaf Stem Extract, Calendula Officinalis Flower Extract, Phenoxyethanol, Xanthan Gum, Ethylhexylglycerine, Tocopherol, Dimethicone, Retinyl Palmitate, Tetrahexyldecyl Ascorbate, Allantoin, Panthenol, Gold, Ethoxydiglycol, Sodium Hydroxide, Benzyl Alcohol, Carbomer. How do I apply the 24K Cleopatra Nano Regimen? 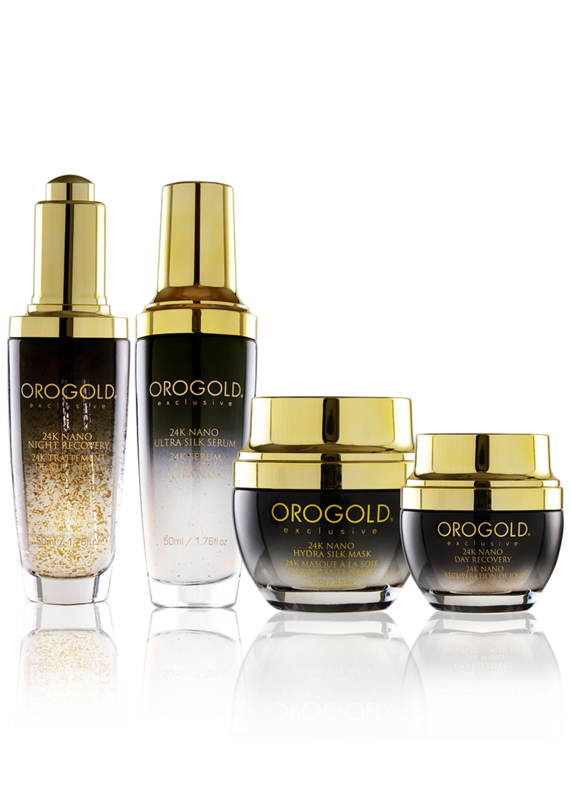 We suggest visiting an OROGOLD location for your first 24K Cleopatra Nano Regimen experience. One of our expert staff members can assist you with a complimentary product demonstration. If you are unable to visit a store, we suggest watching this video for a better understanding of the product instructions. This is a terrific product! I have been using the Cleopatra Nano product fro several years and my skin has really benefited. I love this product. Using it feels so pampering and makes my skin feel so soft and pampered. The little pods that the product is in make the product last a really long time. Opening one of them each time I am going to use it can require some dexterity but it is so worth it. It just makes it feel that much more special. I have been applying it for about a month and besides feeling soft my face feels so much smoother. The reason I have finally decided to write a review today is because my husband commented this morning how smooth my skin looks. I am beyond thrilled! Got this as a gift, I do not usually do much in terms of getting myself skin care products. Now that I have started using this I have started paying attention to how my skin looks (I was checking to see if the product was working). I now realize that my skin could use some TLC. After finally starting to use this product (it sat on my vanity for a while first) I am seeing some good things happening. The wrinkles that I was horrified to discover upon inspecting my face seem to be reducing. My sister, who got this for me, agrees. I have even had some people ask if I am getting extra sleep or something. 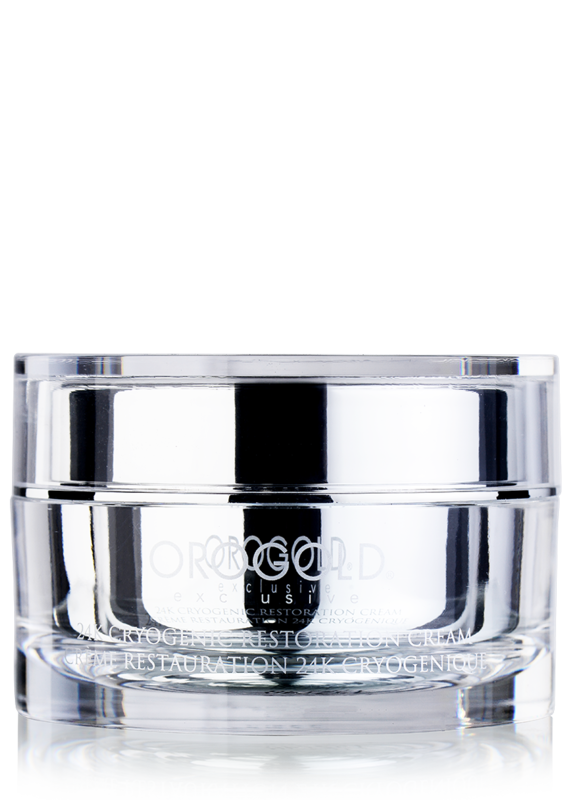 I will definitely be starting to invest more effort into my skin care and stocking up on more orogold products.